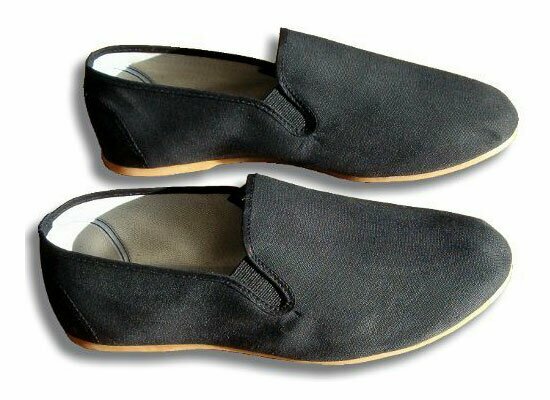 Kung Fu Shaolin Slippers - Black(GTTF510-40) Training footwear, tabi boots, kung fu slippers and other. Lined with comfortable cotton and constructed with brown rubber sole for longer life. Black canvas upper.